Pluto DC Servo Drive integrates all the basic motor control functions and motion control features on a single module. Q-Gen 2.0 is a lightweight, one man portable power solution that can easily support military missions in remote, hostile or austere environments. "Robotics: Technologies and Global Markets" is the report available at ReportsnReports.com store. 03/12/13, 10:50 AM | Industrial Robotics | Velodyne Lidar, Inc.
Velodyne increases LiDAR production due to recent multi-million dollar order from an international mapping customer as well as an heightened interest in autonomous vehicles, security, and traditional laser scanning. 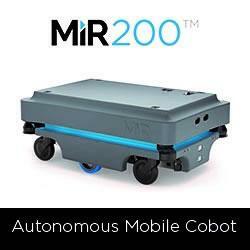 Ecovacs Robotics 'Winbot™,' the first and only robot designed exclusively for cleaning windows, swept the "Household + Home Environment Electrics" category taking this year's coveted Innovation Award at the 2013 International Home + Housewares Show.